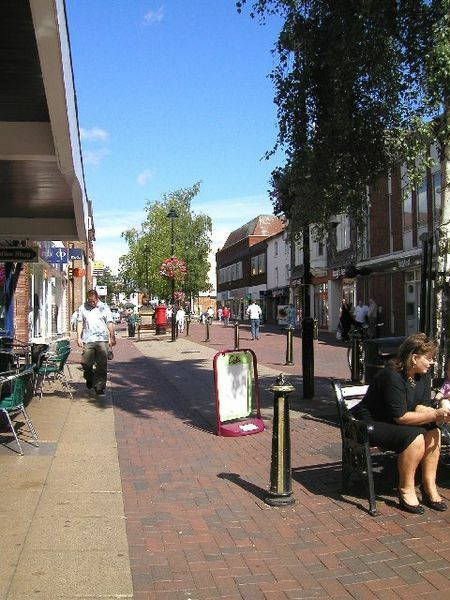 Bromsgrove is filled with brilliant shops that cater to your ever need. There are beauty & health shops, a gym, cafés, opticians, clothes shops and many more. Despite this, we are going to be looking at the food side of Bromsgrove. Not only are there cafés, but there are restaurants too. My personal favourite restaurant is Pizza Hut. Pizza Hut is child friendly and they have great food there to! It's lovely to have a pizza before hitting the highway for some great shopping and pampering. The Slug and Lettuce is a particularly nice café if you feel like grabbing some food and a drink and just relaxing either inside or out. Costa however, is a more up to date café that has awesome drinks and snacks. My personal favourite drink there is a mango slushy with a delicious chocolate cookie, but in the winter they have an entirely new range of drinking and snacking pleasures; new hot chocolates are brought out and the traditional chocolate logs and Christmas cakes come onto the shelves. It is truly a Christmassy delight when you are sitting there munching on a piece of lovely fruit cake whilst washing it down with a honeycomb hot chocolate. Bromsgrove is also filled with sweets shops that are packed with goodies, which are great for little and big kids. Sweetz contains the most variety from bubble gum, to chocolate back to an amazing pick and mix bag. You can't miss the brilliant sign on the shop, and inside is just as wonderful! Bromsgrove High Street also has on-the-go café/restaurants for you to go to if you're in a rush and don't have time to sit down and eat. The most popular are Subway and Gregg's, I'm sure you've heard of them! If not, you must be sure to add them to your bucket list, because these two shops are stops you have to visit! Subway offers a quick and healthy baguette, Subway style. You can choose from six different breads, then, go through a quick and easy process of picking what veggies you want, what meat you want (if any) and what sauce. Then you can have it toasted with or without cheese and voilà! Your very own superb Subway! Of course you can grab a drink or a dessert (or both) and be on your way. Gregg's also offers brilliant food, but it's ready made, all you have to do is choose. Hot or cold food and pastries are awaiting you under a clean glass counter and drinks are sitting in a nice cold fridge. It's all freshly made in the bakery and nice and cheap!